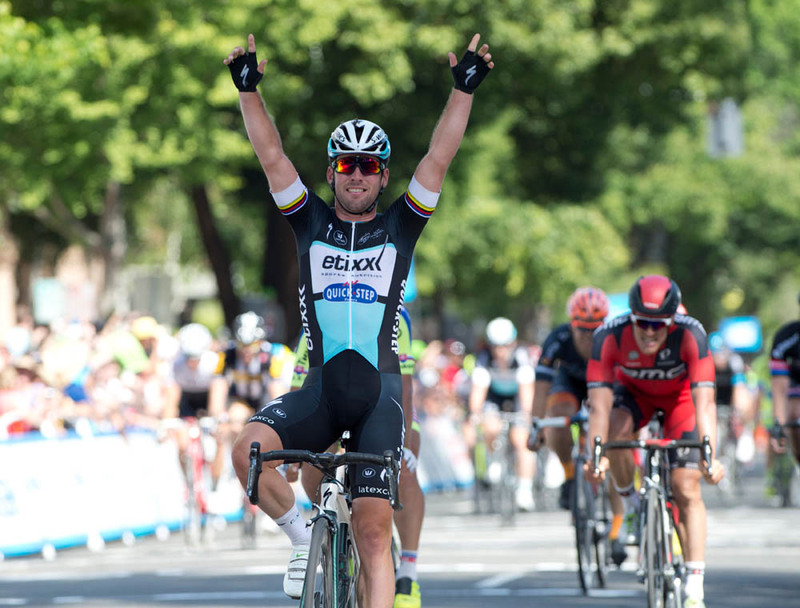 Mark Cavendish (Etixx-QuickStep) won the opening stage of the 2015 Amgen Tour of California in Sacramento on Sunday in an dominant display of sprinting. Cavendish looked to be in a class of his own in the finale of the fast-paced stage, with none of his sprint rivals able to hold his wheel let alone get around him to nab the victory. Peter Sagan (Tinkoff-Saxo) finished as best of the rest in second place, and Jean-Pierre Drucker (BMC) came home for third. It’s Cavendish’s 10th victory of the 2015 season so far, and the 129th professional win of his career since 2007. 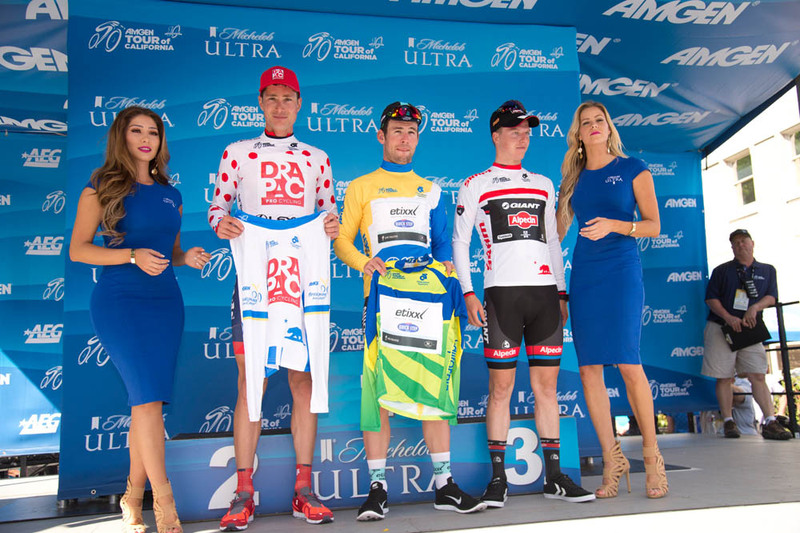 The 29-year-old British rider’s victory means that he takes the early overall race lead in the Tour of California ahead of William Clarke (Drapac), who scooped up some bonus seconds in the day’s escape. Clarke was in a break of four, including Steve Fisher (Jelly Belly), Rob Britton (SmartStop) and Robert Sweeting (SmartStop), which formed after just 10 kilometres. The group worked well together, but never gained more than five minutes on the flat stage. Britton later suffered a mechanical with around 60km to go, and elected to sit up and rejoin the main bunch, leaving Clarke, Fisher and Sweeting out front. With Etixx-QuickStep and MTN-Qhubeka setting the pace of the peloton, the break’s advantage was kept firmly in check. Dutch sprinter Theo Bos (MTN-Qhubeka) suffered a mechanical with 35km to go, and was forced to stop to change his bike, disrupting MTN-Qhubeka’s work at the front. Bos rode his way back up through the team cars and soon rejoined the back of the bunch. With the break in sight of the peloton in the final 15km, Clarke and Sweeting upped their speed, with Fisher unable to keep pace. 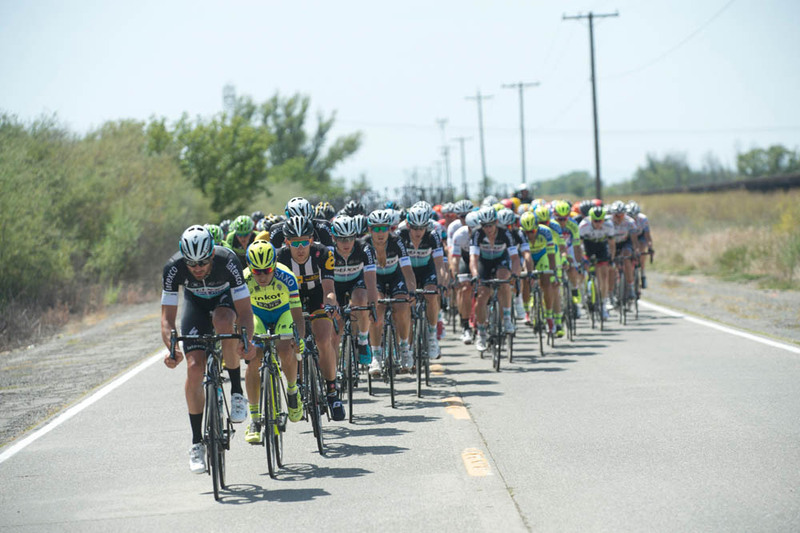 The duo hit the first of three laps of the Sacramento finishing circuit with a 20-second lead over the peloton. Tinkoff-Saxo moved to the front of the peloton for Peter Sagan, temporarily taking the place of Cavendish’s Etixx-QuickStep in pace-setting and the two remaining escapees were caught with 10km to go. Etixx then took control of the bunch again when it mattered going into the final kilometre, with Mark Renshaw handing Cavendish a blistering lead-out, which the Manxman finished off in style. MTN-Qhubeka’s expected sprint challenge to Cavendish never materialised, despite the team’s work during the stage and the fact that it has sprinters Theo Bos, Tyler Farrar, Matt Goss and Gerald Ciolek to choose from. It was bad news for Cannondale-Garmin, as the US team’s Andrew Talansky abandoned the race during the stage suffering from allergies and subsequent breathing difficulties. 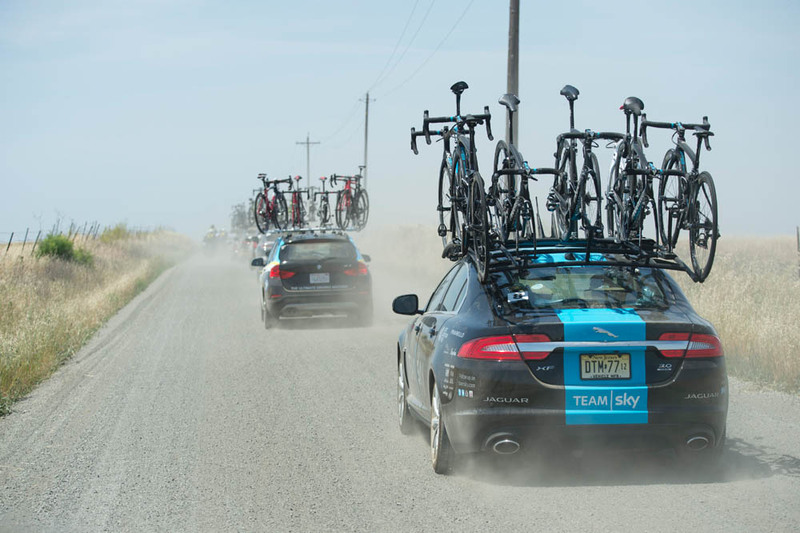 The 2015 Amgen Tour of California continues on Monday with stage two from Nevada City to Lodi on what promises to be a fast stage, and a possible second sprint finish. The race finishes on Sunday, May 17, in Pasadena.